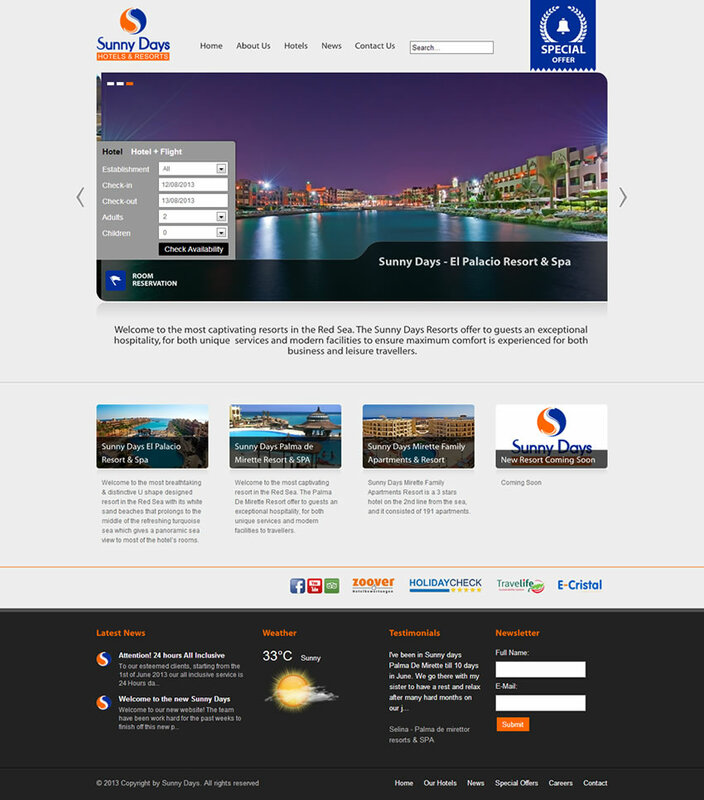 Sunny Days Hotels and Resorts, a chain of hotels situated in Egypt, have entrusted both Abakus and addaJet to work on their new website. Abakus together with the management of the chain have worked together on the design and development of a website that embraces the branding of this organisation. 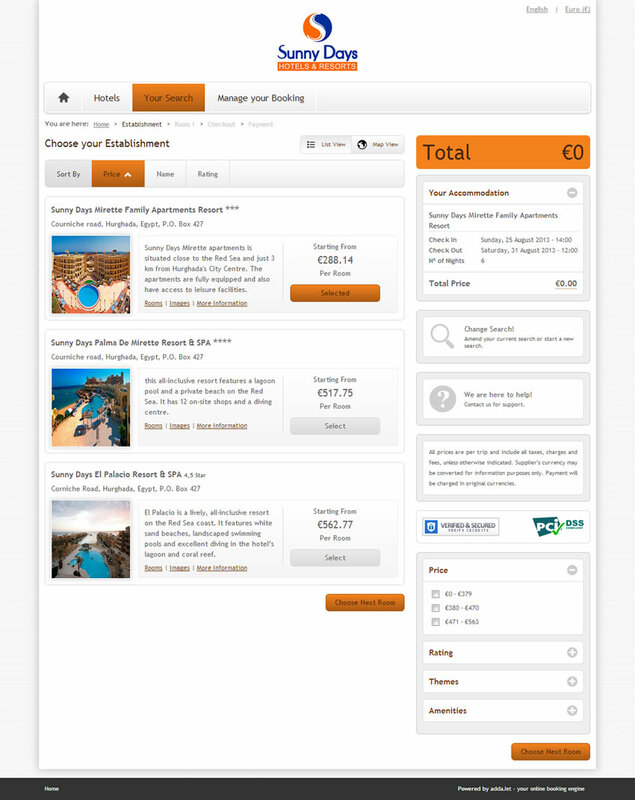 Together with a new website Sunny Days Hotels and Resorts have also worked with addaJet to integrate an online booking engine on the website with the aim of increasing their direct online revenue. 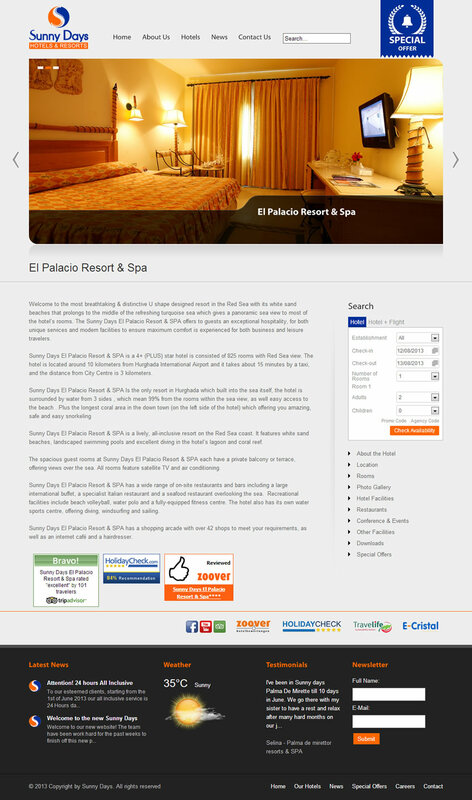 The novelty of this website is that through the same portal, the client can view all of the hotels and resorts which Sunny Days have with just a click of a button.